Applying these five responsibilities locally is referred to as “sustainable human progress”. Our changing reality challenges us all the time to keep harmony through applied innovation (social, structural and technological). The 5 can’t be politicized or economized, forming a guidance for community building and sustainable wellness. You call yourself Sustainocrat when you understand and willing to network with other Sustainocrats to address these issues in multidisciplinary task forces, addressing the global issues caused by deviation of these key values (Global warming, poverty, desertification, migrations, pollution, etc). 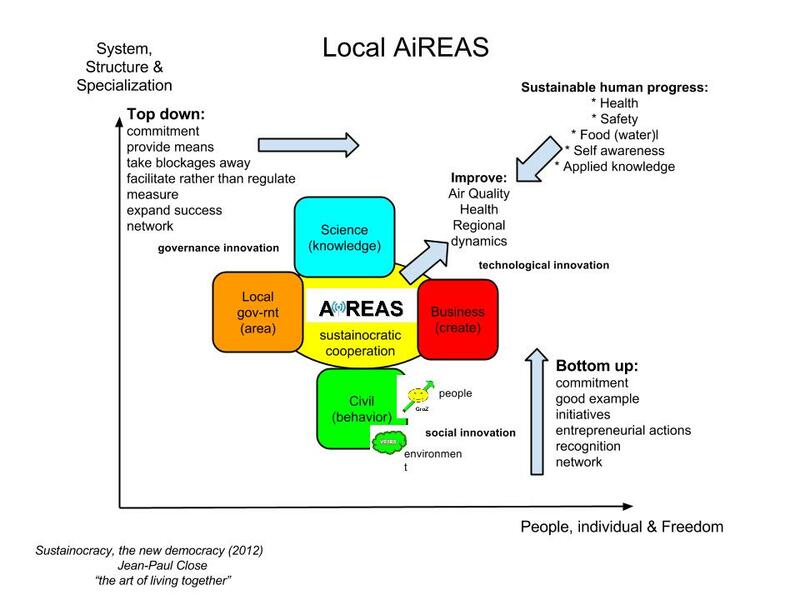 Sustainocrats also can take the independent connecting position in Sustainocratic ventures (global issues, local solutions) involving government, civilian groups, business and science (triple and quadruple helix). If you donot understand but willing to learn then the STIR Academy offers awareness programmes, helping you get to terms with the historical and scientific fundamentals of Sustainocracy and the function of Sustainocrats. Sustainocrats can be found at all levels and positions within society. Worldwide Network of Sustainocrats. First community of Sustainocrats – Eindhoven (the Netherlands). STIR Academy connects 35 regions for peer 4 education and triple “i” exchange.